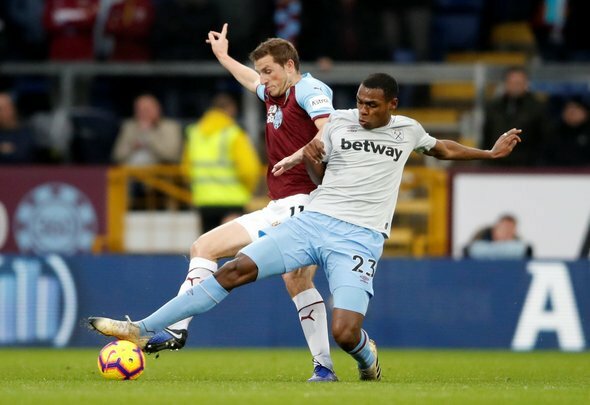 Early on this season it looked as if West Ham United’s summer capture of centre back Issa Diop was one of the finest bits of business in Europe. The 6ft 4in Frenchman [Source: Transfermarkt] looked a picture of assurance and physical dominance at the heart of the Hammers defence. However, that has all come to a swift end over the past month or so. Diop’s form has nose-dived dramatically, his early season success vanishing into the ether. He now appears error-prone, unsure of how to proceed alongside centre half partner Angelo Ogbonna. His dire performances could once have been explained by Fabian Balbuena’s absence through injury and the subsequent pairing with the mistake-ridden Ogbonna. However, that is no longer a valid excuse. The Italian is enjoying a fine run of form in recent weeks, with back-to-back impressive outings against Liverpool and Crystal Palace highlighting his mini-turnaround. Diop, though, has scarcely improved in that time. In fact, against the Eagles he looked about as ordinary as it’s possible to get. Yes, some of it is down to Balbuena’s absence, but Diop needs to look himself in the mirror and acknowledge that he needs to turn things around. He’s simply not been good enough this calendar year and continuing this sort of form must see Manuel Pellegrini sharpen his axe. When you’re being outperformed by Ogbonna there’s a problem. Earlier this campaign it was suggested that Diop was on his way to bigger and better things, with the London Stadium a mere stepping stone on his road to greatness. He has been well and truly brought back down to earth since those heady days and there are days he does not look good enough for the Irons. There have been extenuating circumstances, it’s true, but you have to take responsibility for your own poor form. It’s no coincidence that the Hammers’ horror run in January coincided with Diop’s worst showings of the season. We need to see the old Diop again, and fast, because his campaign has fallen off a cliff of late. For his own sake, and his team’s, he must do better from now on or face the chop.